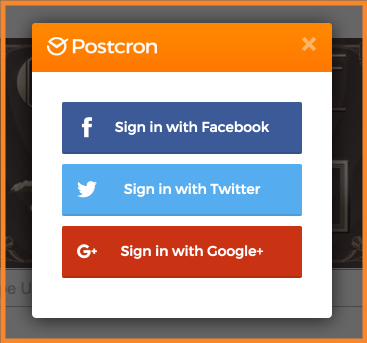 As you know, Postcron allows you to schedule your posts ahead of time which helps you save time working on social networks, and making sure all your accounts are kept up to date. In today’s post, I will show you how you can take convenience to the extreme, using the the Postcron Extension for Chrome. 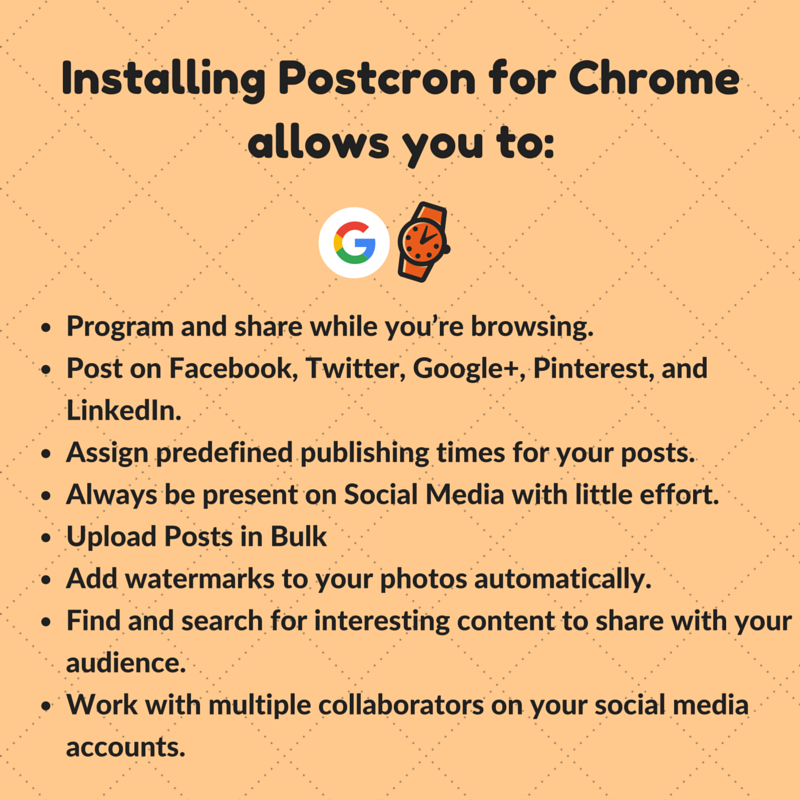 To do this I will show you step by step how to install and start using the the Postcron Extension for Chrome, so you can get the most out of your time spent browsing. With this tool you can schedule posts directly and quickly from any page that you find yourself browsing. Why should you use the the Postcron Extension for Chrome? The Postcron Extension for Chrome lets you schedule posts with the content you find while browsing, directly from the page where you are without having to leave the page. That way, you don’t have to waste time signing into your account whenever you want to schedule something. In turn, you get more out of your time spent navigating the web. In effect, our extension allows you to schedule or immediately publish any photo, interesting article, or video you want to share with your audience while you surf. Post directly from the extension to your social networks. Post anything by right clicking the mouse. Post images hosted anywhere directly from the site you’re on. As you can see, our extension is ideal for Community Managers, Social Media Managers, freelancers, digital marketing agencies, entrepreneurs and anyone who wishes to be present on social networks without complications. Now that you know what the purpose of this tool is, I want to show you how to use it. If you want to learn more about how the rest of Postcron works, you can consult this tutorial. 1- Click on this link and click “Add to Chrome“. 3- A confirmation will appear to inform you that the extension is now available. That’s it! 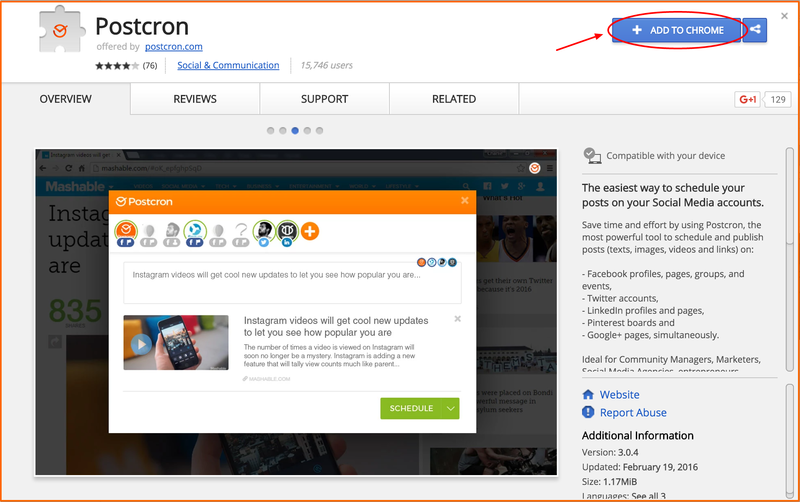 2- You can now schedule or share any content you find on any page or Social Network with your audience while browsing. Below, you can see an example of how to share a video directly from YouTube. To share from YouTube, simply click the Postcron Extension for Chrome button while you’re on the page of the video you want to share. Then, the Post Editor of Postcron will pop up and let you choose the accounts you want to publish (by clicking the circular icons just above the text editor). Important: Keep in mind that the examples cited, like the one that you have just seen, or the ones below are only an illustration, since you can actually use the Postcron Extension for Chrome while browsing on ANY social network or website. 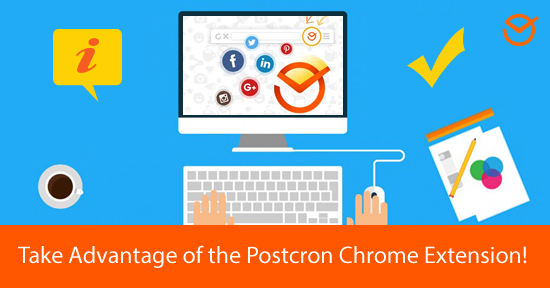 I hope this tutorial has helped you learn how to use the Postcron Extension for Chrome, so that you can make the most out of your time spent browsing and save valuable time while working on Social Media.